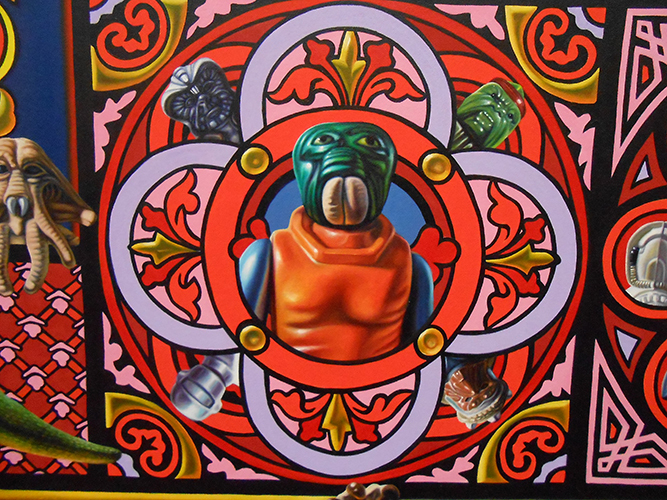 Robert Burden's amazing painting “The 20th Century Space Opera” -- which changes how we look at Walrus Man and other classic toys -- is coming to Star Wars Celebration. 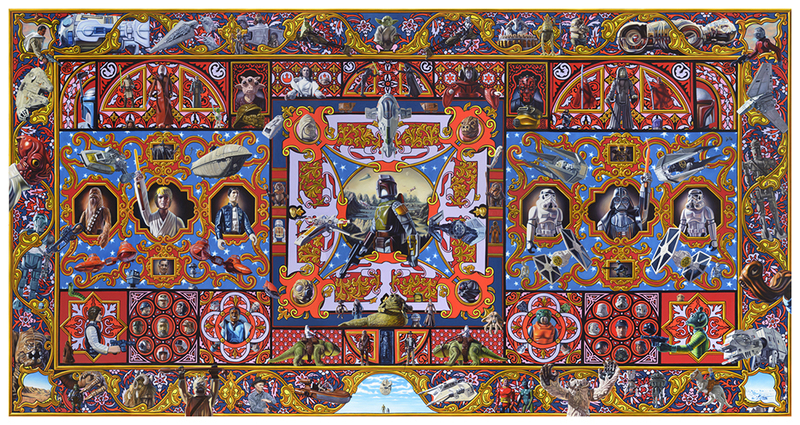 It’s likely the world’s largest Star Wars oil painting at 8-feet high by 15-feet wide. It took over 2,000 hours to complete over 18 months. 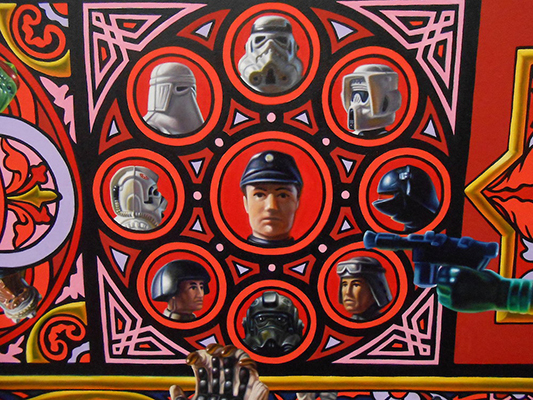 In it, 32-year-old artist Robert Xavier Burden depicts practically every vintage Star Wars action figure, many vehicles, and “Easter eggs” such as a portrait of mythologist Joseph Campbell, all against a colorful tapestry-like background. 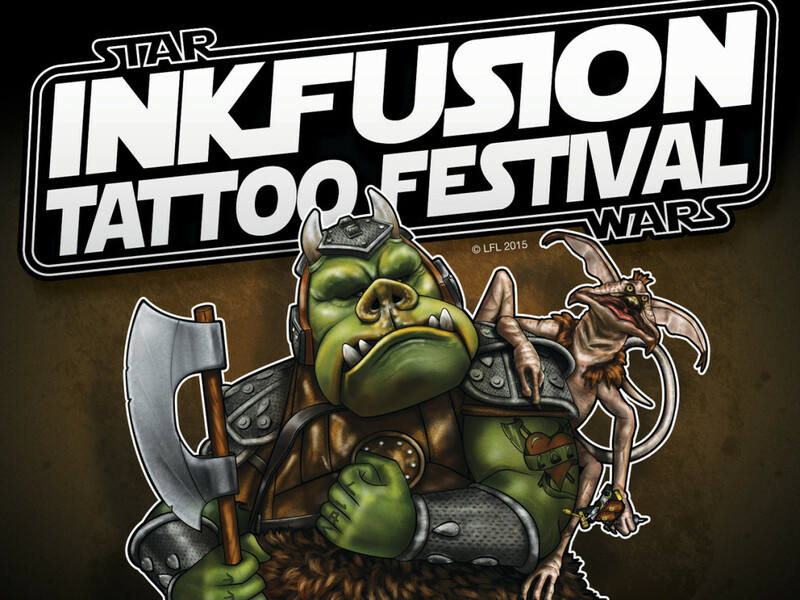 You really have to see it to fully appreciate it — and if you’re going to be at Star Wars Celebration Anaheim April 16 to 19, you’re in luck! 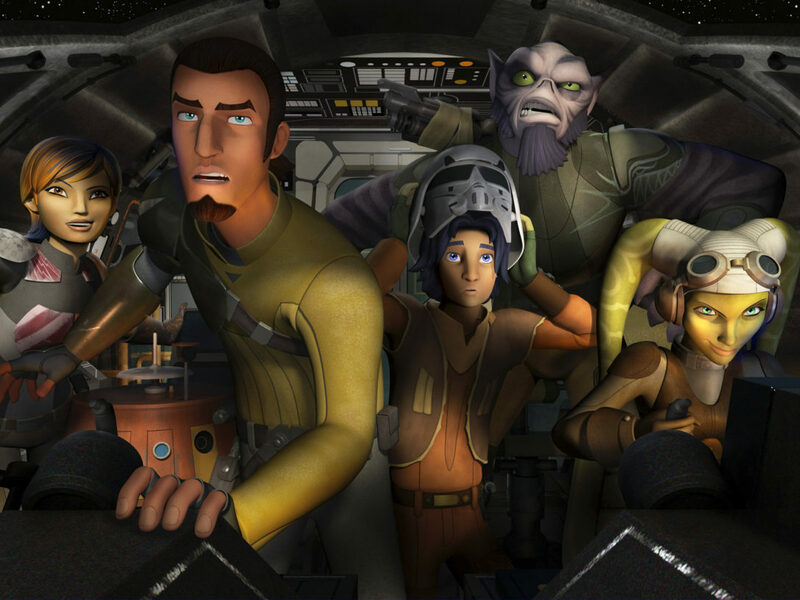 The painting, “The 20th Century Space Opera,” will have its first public display anywhere at the Rancho Obi-Wan exhibit, which this year is dedicated to art and fan-made artifacts. For Hamilton, Ontario-born Burden, who has painted and taught art in San Francisco for the last decade, this isn’t his first — and won’t be his last — large-scale oil painting based on pop culture icons of his youth, in a group he calls his “dream paintings” and specifies that it’s really “fan art” rather than pop culture art. 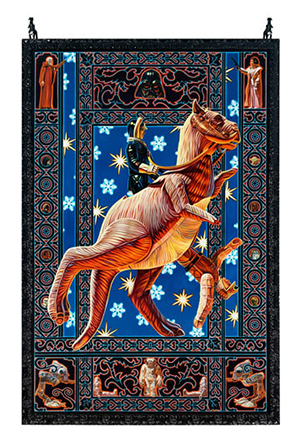 His 10- by 7-foot “Birth of a Jedi,” which shows Han and Luke action figures and an “open-belly” tauntaun, is in the private collection of the president of a Fortune 500 company based in the Pacific Northwest. While a recent Wired.com story goes into detail about the reported asking price of $200,000 for the newest canvas, as collectors know everything is negotiable. 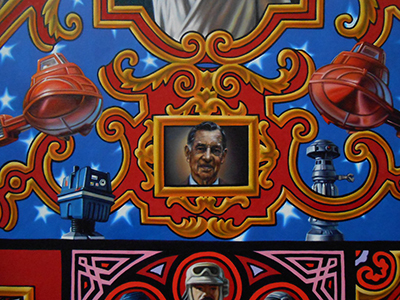 The writer implied that the painting might never sell — but then, he isn’t an expert on the vast world of Star Wars fandom. Too young to see any of the original trilogy films in their first release, Burden recalls spending every Thanksgiving with cousins who had Star Wars toys. 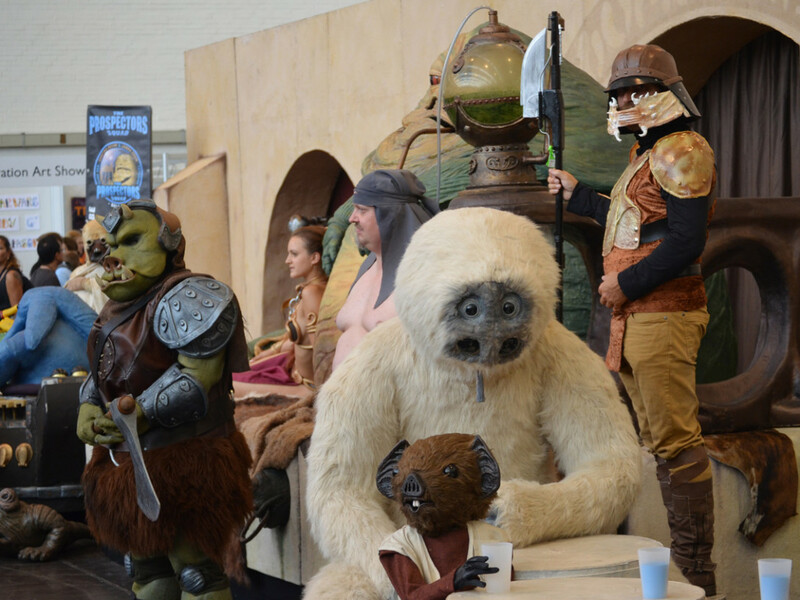 “Rancors, tauntauns, landspeeders — this was all amazing stuff to me,” he says. “As I grew up my friends and I played with Transformers, G.I. 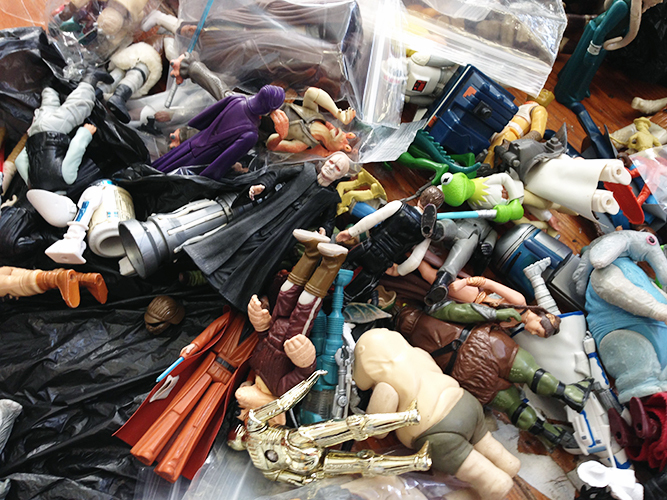 Joe, and Batman…but in my mind Star Wars toys were the original toys; for all I knew then, there wasn’t anything to play with before they came out.” Since Star Wars toys were no longer in stores, Burden coveted them even more, especially after he got to watch the movies on VHS. 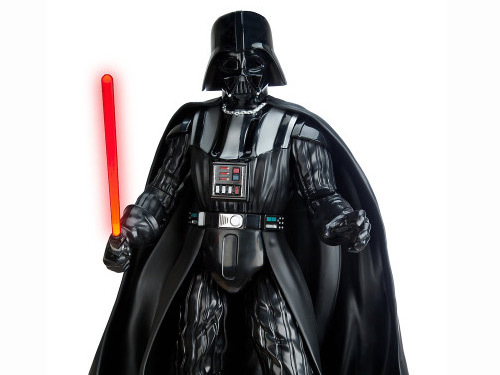 He was in line each opening night when the Star Wars Special Editions premiered in 1997. 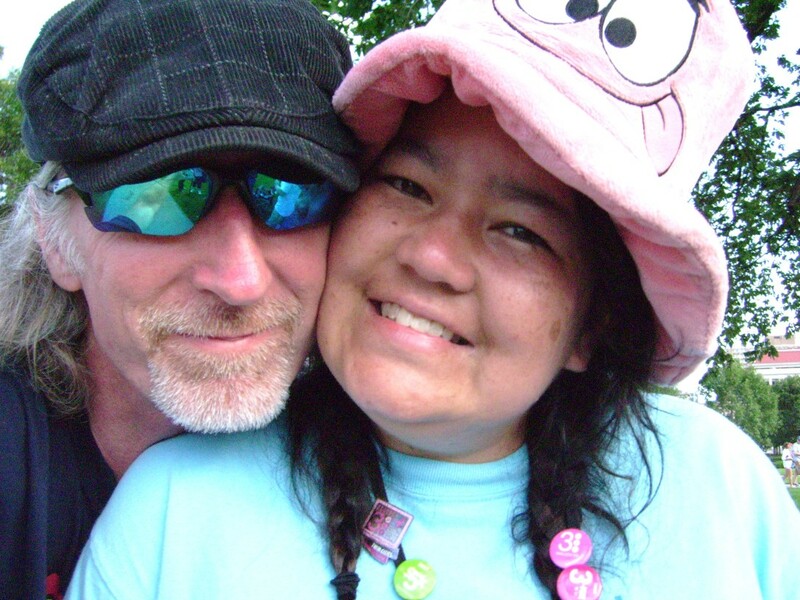 Burden always had an artistic bent, and at one point thought he’d pursue animation after uncounted hours of watching cartoons and playing video games. But he really wanted to learn how to paint, so he chose a fine art major. He started doing the large-scale oil paintings nearly a decade ago. Seeing Burden’s oversized canvases up close is like the difference between watching a DVD at home on a TV screen versus seeing the same movie in a 3D IMAX theater. Their presence and audacity can overwhelm a viewer. To start his paintings, such as a 7- by 12-foot Batman canvas, Burden does some rough sketches, but mainly to figure out placement of his objects. “As I work, the figures move around and I end up giving more ‘face time’ to one over another,” he says. 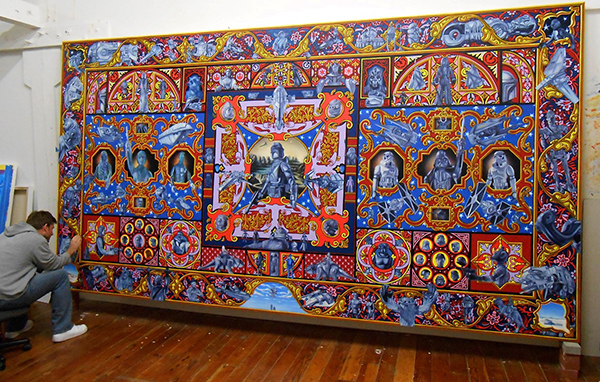 The intricate tapestry-like backgrounds of Burden’s paintings originally were influenced by wallpaper and fabric patterns from his childhood home, but they’ve become much more complex and inspired by decorative motifs from all over the world. Robert Burden at work on his canvas. 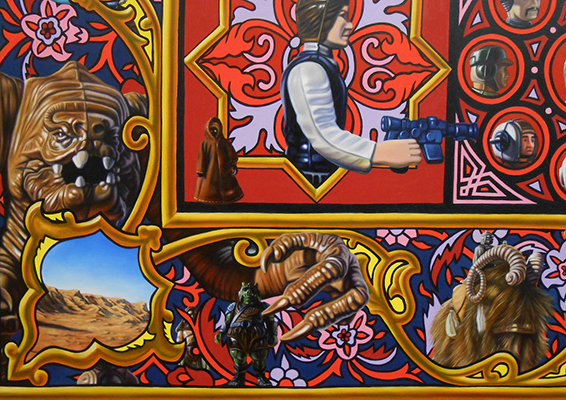 While Burden’s studio is filled with wondrous, colorful works depicting objects from Masters of the Universe, DC Comics, and Teenage Mutant Ninja Turtles among others, the Star Wars-related art certainly captures the eye as well as the artist’s passion. 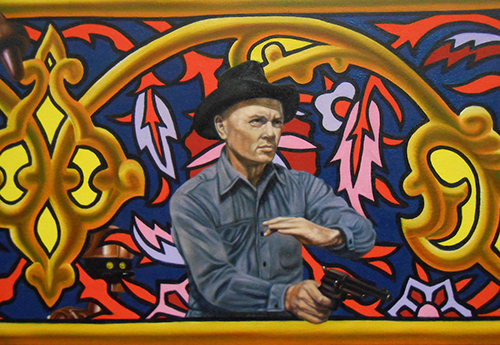 The new piece can seize attention for long stretches of time as viewers seek out favorite characters and Easter eggs, such as Yul Brynner from The Magnificent Seven, based on Seven Samurai by Akira Kurosawa, a film that influenced George Lucas; or Klaatu, Barada and Nikto along with the robot Gort for whom those words were a key in The Day the Earth Stood Still. Klaatu, Barada, Nikto, and Gort surround Walrus Man. Yul Brynner from the Magnificent Seven, based on a Kurosawa film. 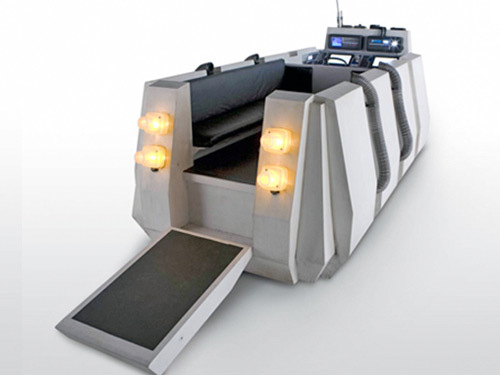 Burden will be at the Rancho Obi-Wan exhibit at Celebration Anaheim to chat about “The 20th Century Space Opera” and also to sign limited special prints of two parts of his masterwork to help raise money for the nonprofit Rancho museum. 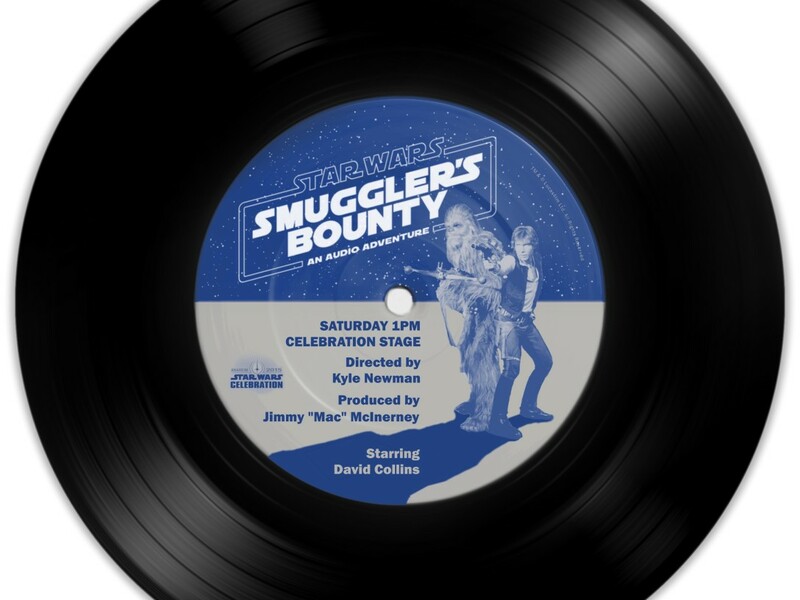 Each of the numbered prints, one for the light side characters and one for the dark side, is printed on 13- by 17-inch paper and limited to 100 copies apiece. They will be made available shortly for advance order for pickup only at Celebration — including matching numbers if one of each is purchased — with details at www.facebook.com/RanchoObiWan. 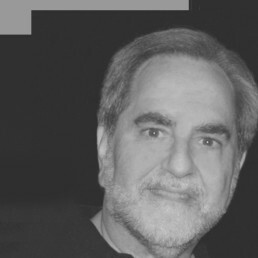 Steve Sansweet is chief executive of Rancho Obi-Wan, the non-profit museum that houses the WLPCoSWM. To find out about becoming a member or taking a guided tour, visit www.ranchoobiwan.org.